Gorgeous Magical style earrings that are so multi-use, its insane. Choose from 5 metal types, Brass, Golden, Gunmetal, Noir, and Silver. and there are endless possibilities and combinations to be had with 40 different gems to choose from. These are nano capable, resizable, and moddable so you can ensure the perfect fit, size, and placement. 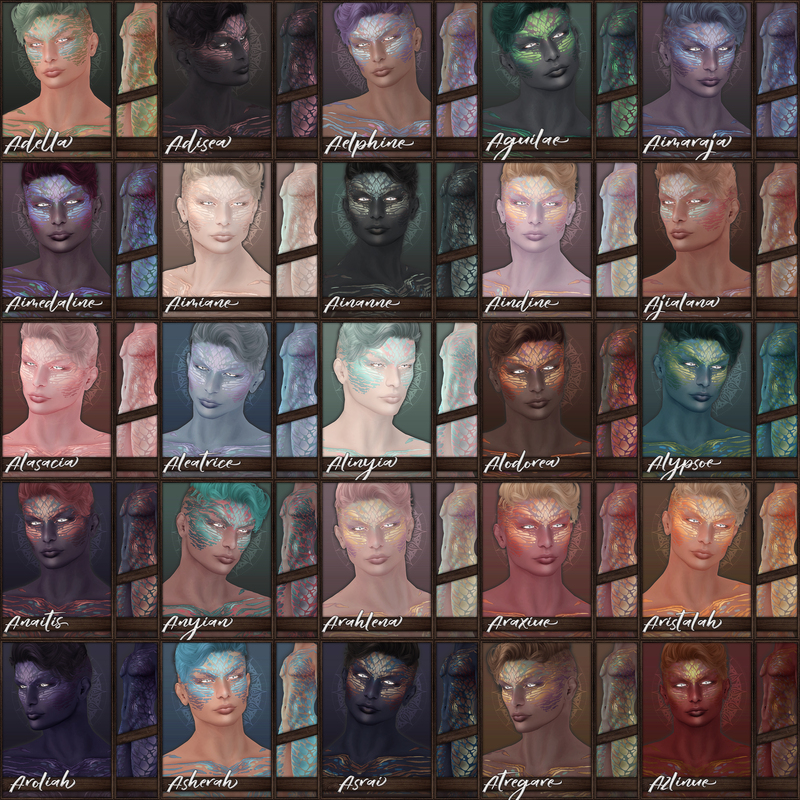 The Battle Hardened skins come in male and female and have 3 separate tones. Features full body and face scars. Discounted 30% for the event, and skin is all inclusive. 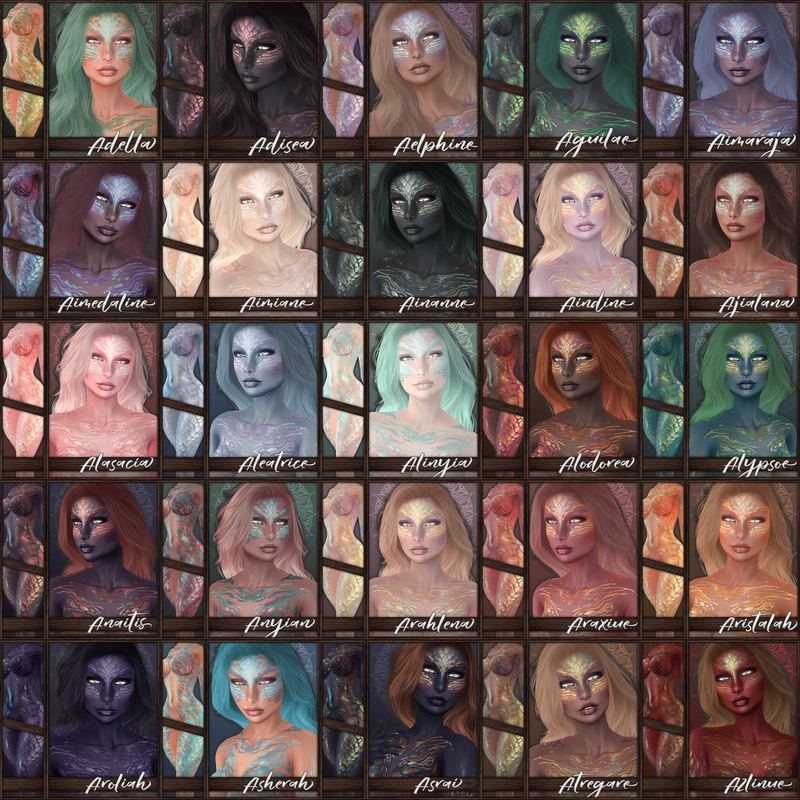 comes with all appliers as well as eyes, hairbases, eyebrow shapers, tattoo layers, and more. ~ by Vae on May 6, 2016.